DDG-Bundle is a Fortran95 implementation of the the derivative free diagonal discrete gradient bundle method for general, possible nonconvex, nonsmooth (nondifferentiable) minimization. To use the software modify tddgbundle.f95, initialization.f95 and objfun.f95 as needed. The software is free for academic teaching and research purposes but I ask you to refer to the reference given below if you use it. - main program for DDG-Bundle. - user-specified initial values for parameters and starting point x. - user-specified computation of the objective function value and the subgradient. - subroutines for DDG-Bundle method. - module of large-scale nonsmooth test problems (includes also partially separable test functions). - all the above in compressed form. 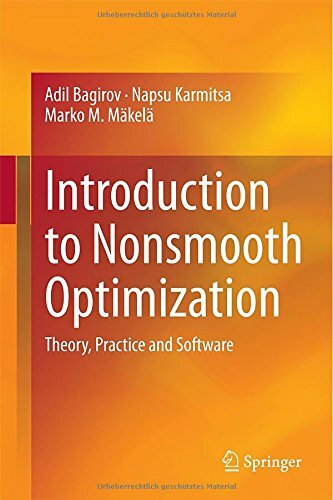 N. Karmitsa, "Diagonal discrete gradient bundle method for derivative free nonsmooth optimization (free copy for 50 first). Optimization: A Journal of Mathematical Programming and Operations Research, to appear, 2016. DOI 10.1080/02331934.2016.1171865. The publication is available online at http://www.tandfonline.com. The work was financially supported by the Academy of Finland (Project No. 289500) and University of Turku.